A summer at Camp Barney Medintz is as rewarding for our counselors and staff as it is for our campers. 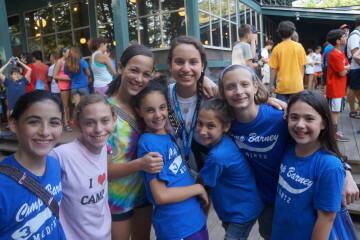 In fact, many of our staff members count down the days to camp just like our campers do! 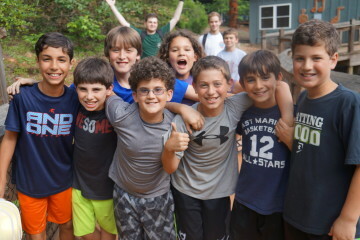 Working at Camp Barney, you will gain tremendous satisfaction and invaluable skills from developing self-confidence, self-esteem, and instilling a sense of Jewish values in our campers. Do you exemplify outstanding leadership, warmth, the ability to teach and care for children, a sense of humor, positive values and character, creativity, and incredible enthusiasm? If so, we invite you to review our Job Positions. Our staff are integral in providing campers with a memorable and safe experience, and the reason so many return. So, we take the hiring of staff seriously. Are you ready to apply? If so, go HERE to apply. For answers to all of your questions about what a day is like at camp barney, how the hiring process works, and much more, read our 2019 Application Handbook. For a list of what to bring, please click here.